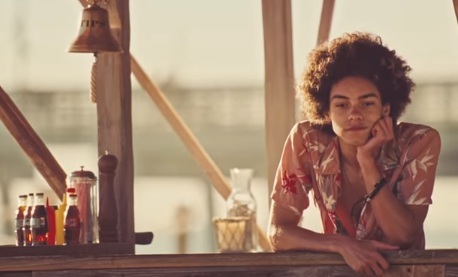 Coca-Cola shows you, in its latest commercial, how to break the ice if you can’t think of the right thing to say to your summer crash. with a girl he likes and watches from the distance. Unfortunately, every time he looks at her, she’s busy doing something and when he finally finds the courage to grab a Coke and go to her, another guy gets to her before him, so he decides to give up for the moment. Eventually, it’s the girl the one who breaks the ice by ordering two Cokes and giving one to him. Thus, they get to start talking and enjoy the sunset together. The song used in the ad is the 2014 single “Classic” by New York City-based electronic music duo The Knocks featuring Crista Ru, the lead singer of alternative pop duo POWERS. Coca-Cola states that “Sharing an ice cold Coca-Cola can be the perfect icebreaker” and urges you to find your name in stores this summer or personalize your Coke along with your ultimate summer destination by visiting the “Share a Coke” campaign website. The brand’s hit campaign is back this summer for the fourth consecutive year, with more than 1.000 first and last names available on the bottles, including on the ones of Coca-Cola Life and Cherry Cola.